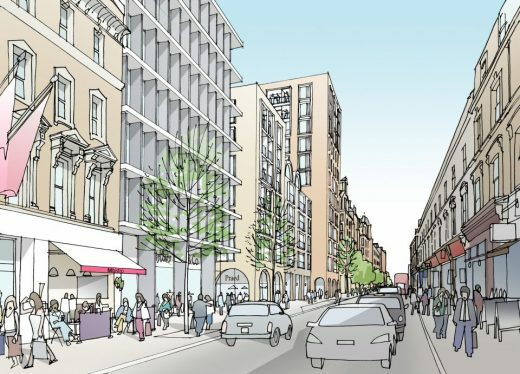 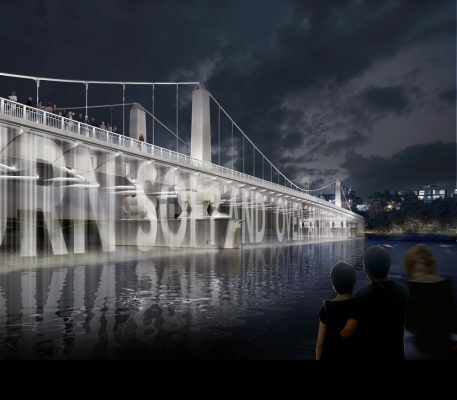 Lifschutz Davidson Sandilands has submitted 30 planning applications for what it says is the longest public art work in the world, reports Building Design magazine. 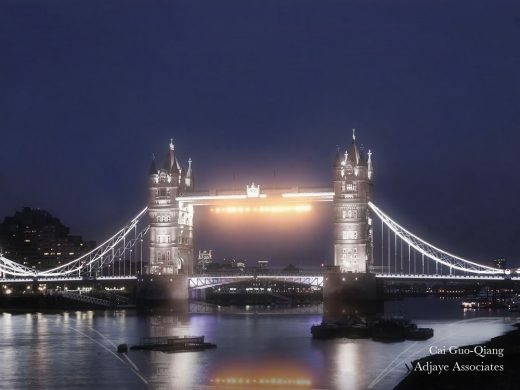 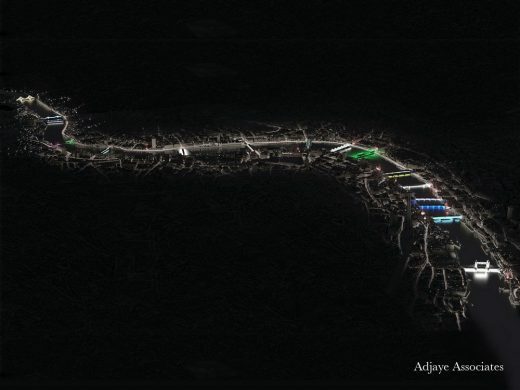 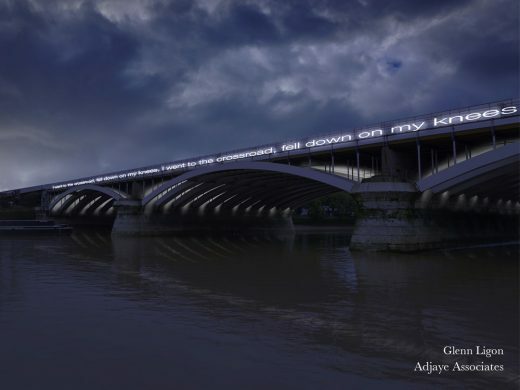 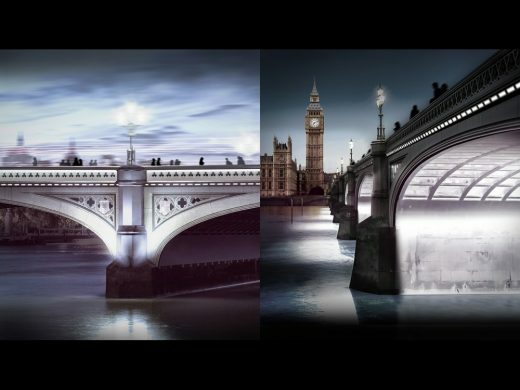 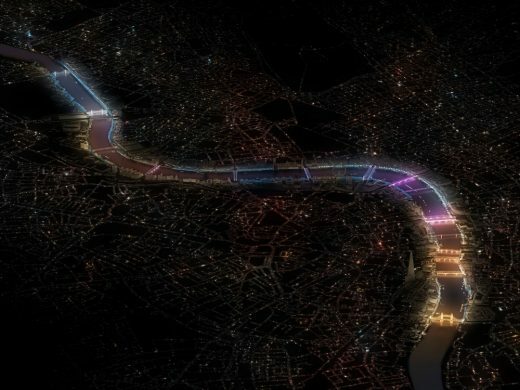 The Illuminated River project includes 15 bridges along the River Thames lit up in different ways. 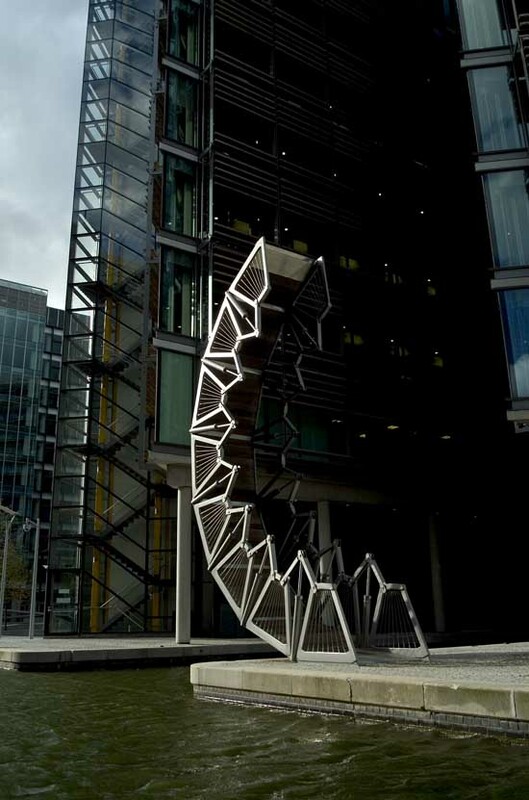 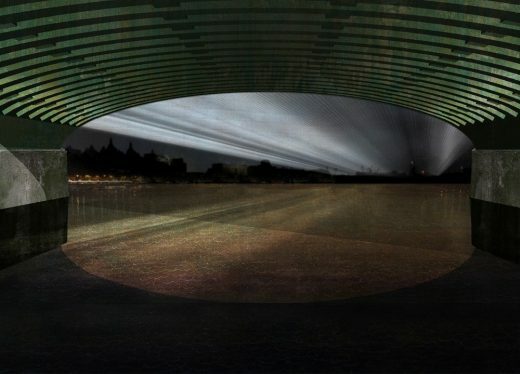 The project is a collaboration between the architect and American artist Leo Villareal. 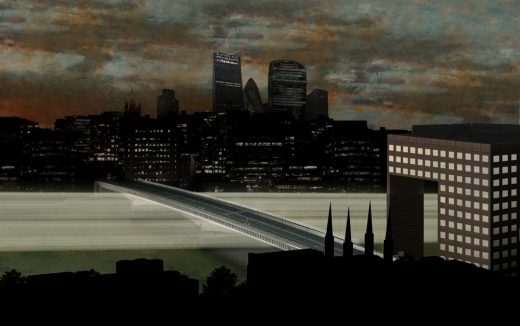 Leo Villareal with Lifschutz Davidson Sandilands and Future\Pace. 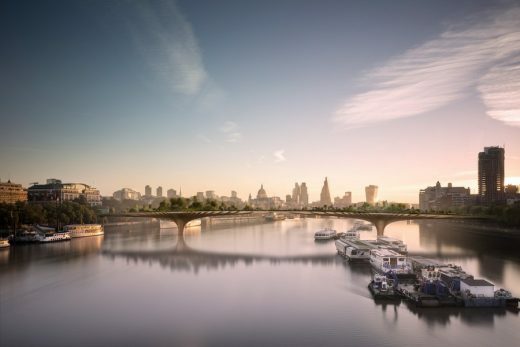 Atelier Ten, Beckett Rankine, Bradley Hemmings, Core Five, Futurecity, Greenwich+Docklands International Festival, MBNA Thames Clippers, Montagu Evans, Pentagram, Price & Myers. 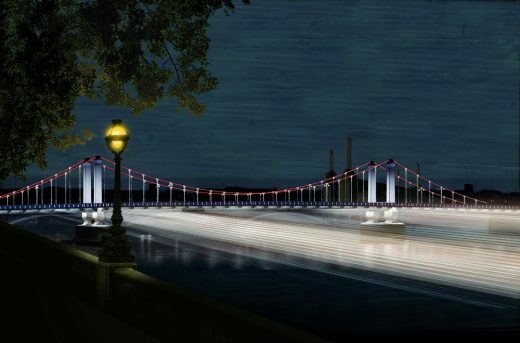 Leo Villareal, the artist who created The Bay Lights (a monumental public art installation on San Francisco’s Bay Bridge), architects Lifschutz Davidson Sandilands and curators Future\Pace present a transformational artwork, in three stages, designed to enliven the Thames using dynamic light. 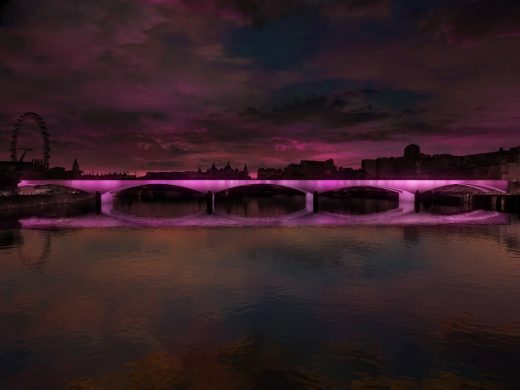 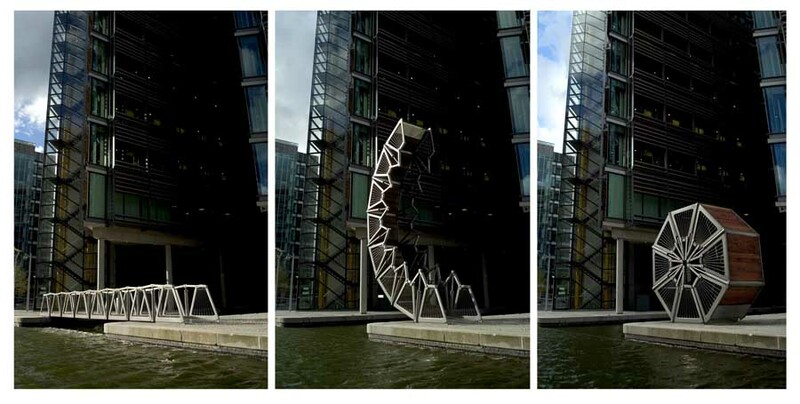 First, Villareal’s ambitious composition integrates light and colour on the 17 bridges, from Tower Bridge to Albert Bridge, creating a sensitive, interactive and site-specific interplay with the river. 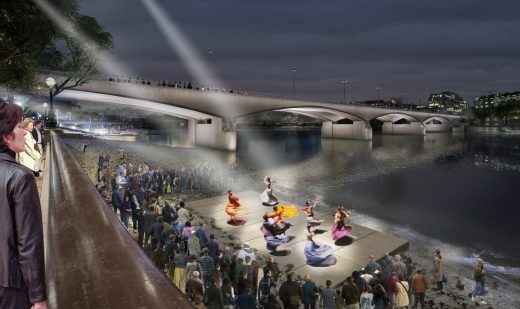 Second, a strategic scheme along both banks will control commercial lighting and introduce the setting for future cultural projects. 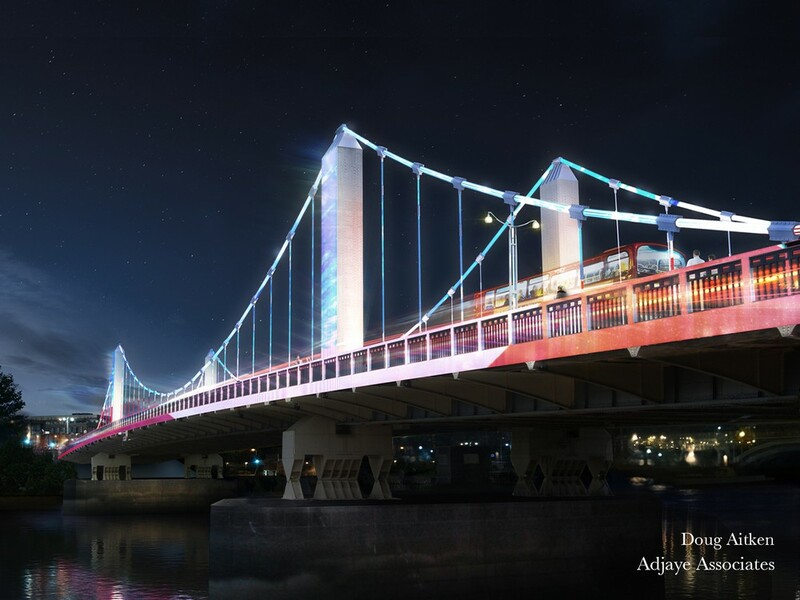 Third, additional proposals include a ground-breaking partnership between the MBNA Thames Clippers and artists Random International, immersive installations by Japanese technologists teamLab and other opportunities that foster community and diversity. 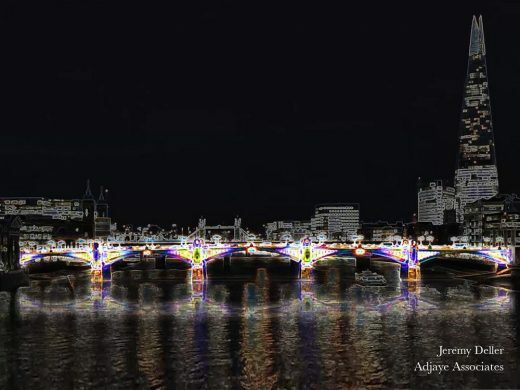 This project applies contemporary artist-created software to provide a kinetic programme harnessing the universal power of light and inviting meaningful and accessible public engagement at the heart of London. 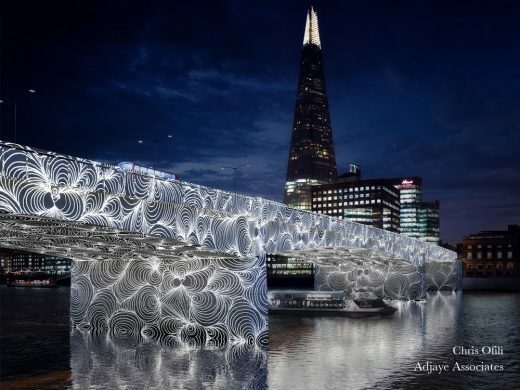 Proposals by six international teams, representing seventy-three artists, architects, designers, planners and engineers from Asia, Europe, North America and South America will be unveiled on Wednesday 9 November in the Illuminated River Exhibition, a free exhibition running for three weeks at the Royal Festival Hall (RFH) until Tuesday 29 November. 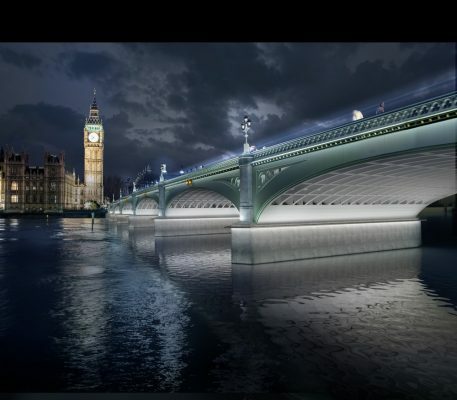 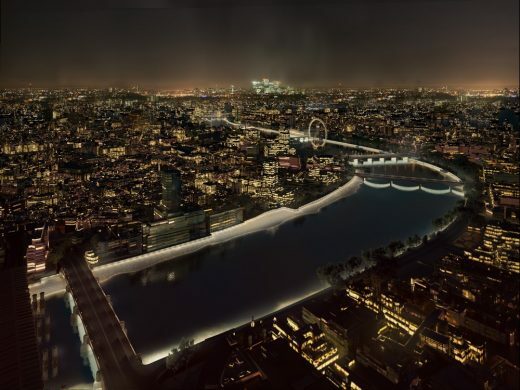 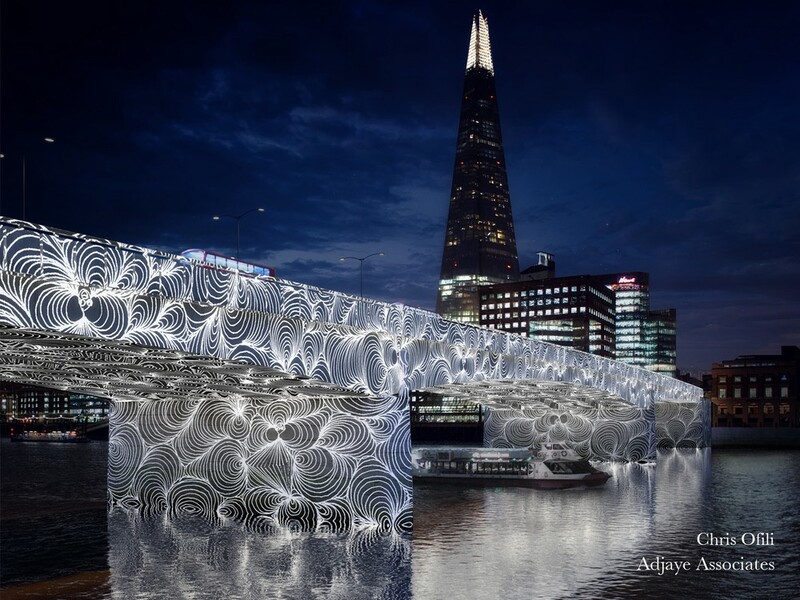 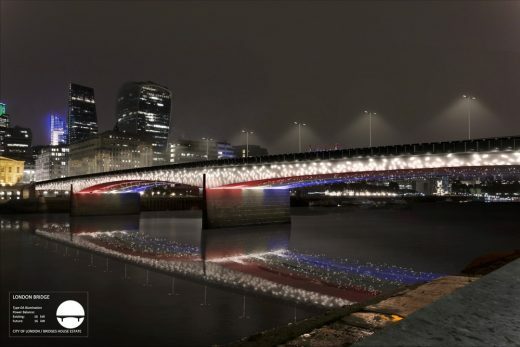 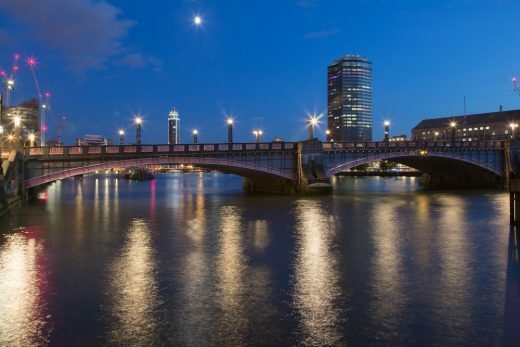 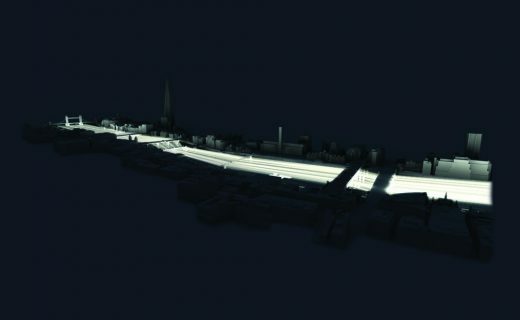 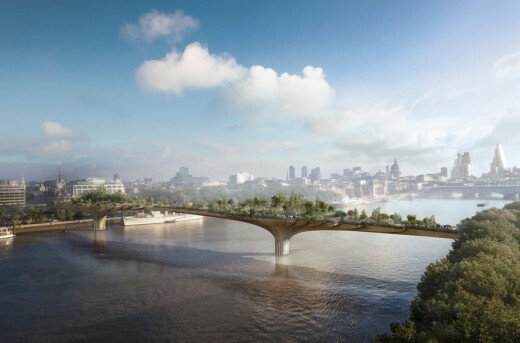 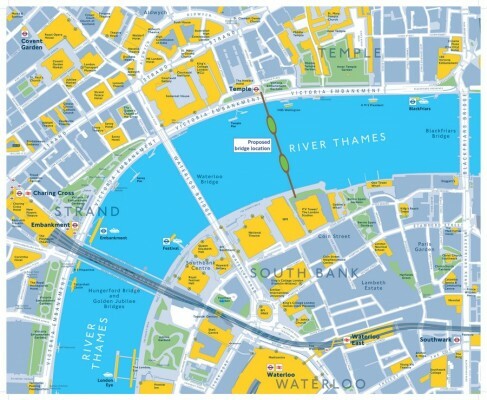 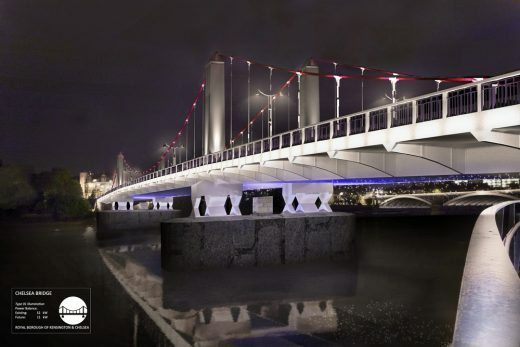 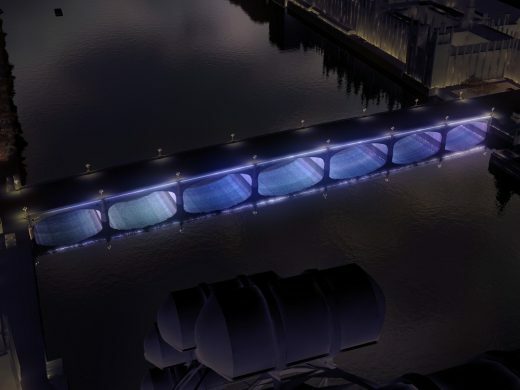 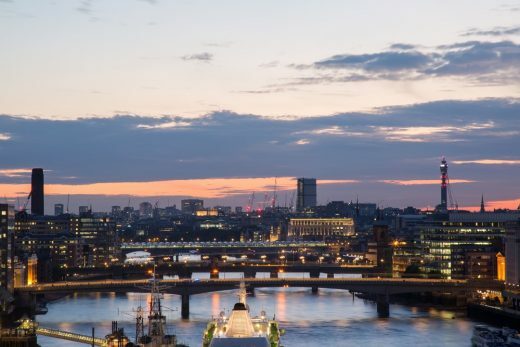 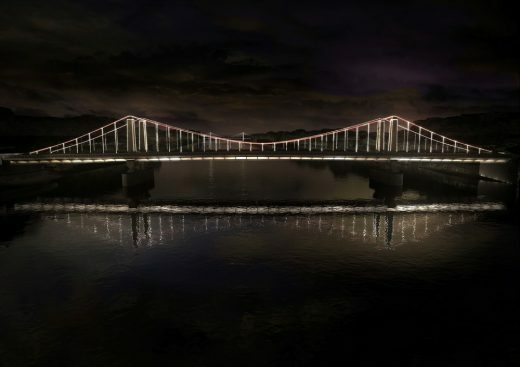 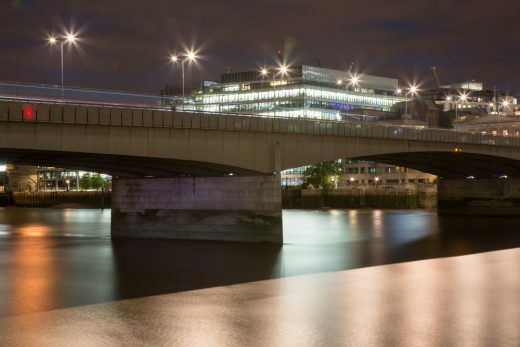 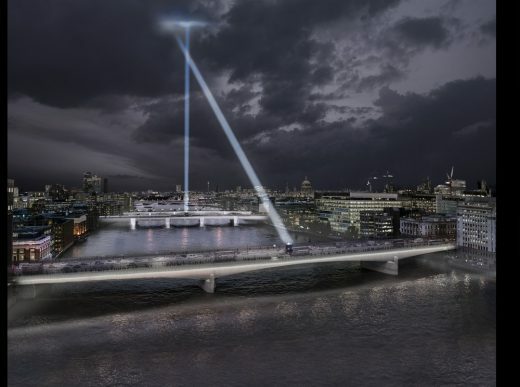 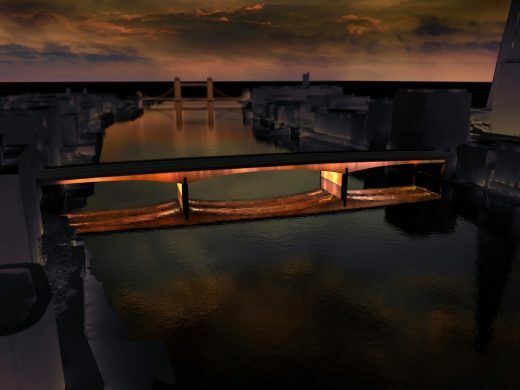 The Illuminated River is a design commission on an unprecedented scale: a scheme conceived to light central London’s bridges along the River Thames. 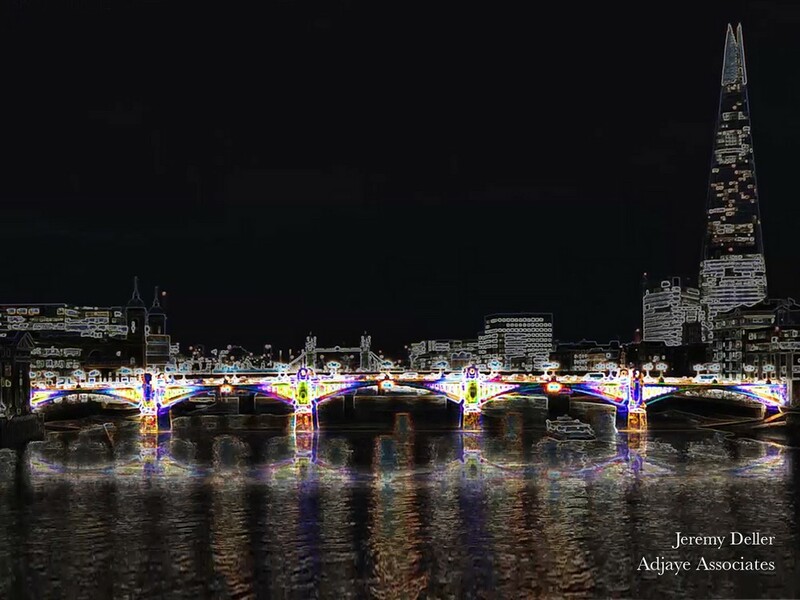 The Illuminated River International Design Competition, organised by Malcolm Reading Consultants, with a brief for designs that include new technologies and display outstanding aesthetic quality, attracted entries from 105 teams working in the fields of art, technology and design from all over the world. 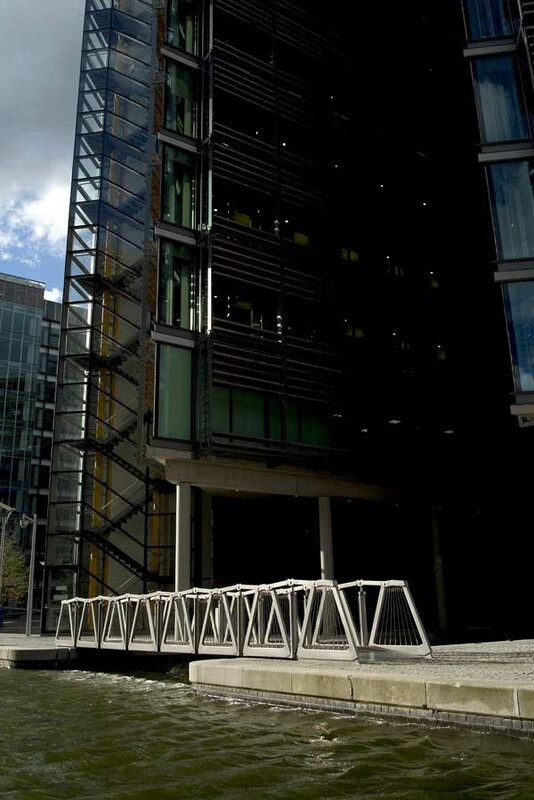 The shortlist of six teams has been selected by an independent panel. 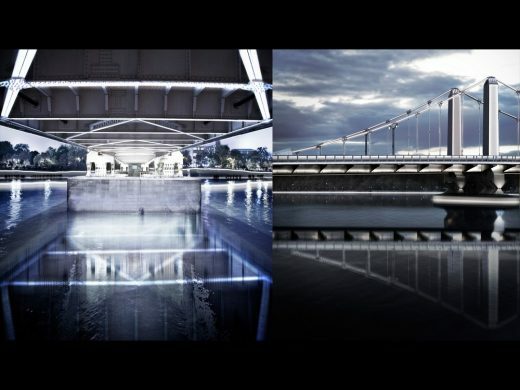 The winner will be chosen by a jury supported by a technical advisory panel. 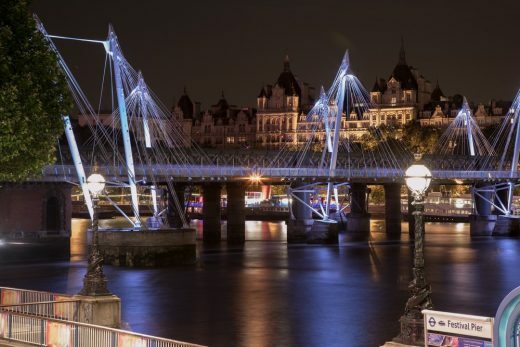 The winning team will be announced on Thursday 8 December. 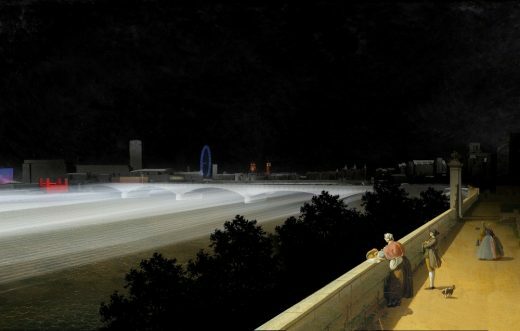 The exhibition at the RFH showcases the shortlisted proposals by six international teams, which are also available to view online. 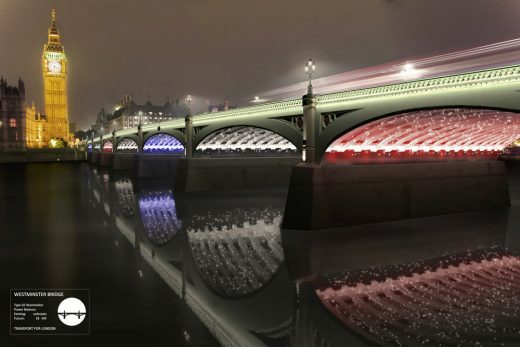 The public is being invited to share its views on the project via a survey at the exhibition and at www.illuminatedriver.london. 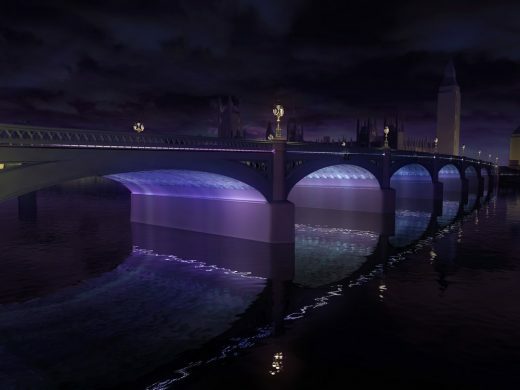 With the first phase of the fundraising campaign already underway, it was announced today that £10 million has been pledged towards the Illuminated River project: £5 million by Peter Baldwin and Lisbet Rausing through the Arcadia Fund, and a further £5 million is being donated by the Rothschild Foundation. 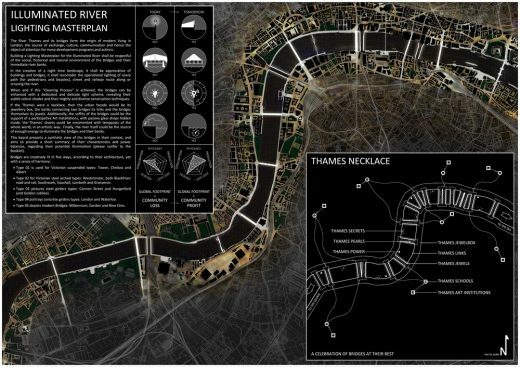 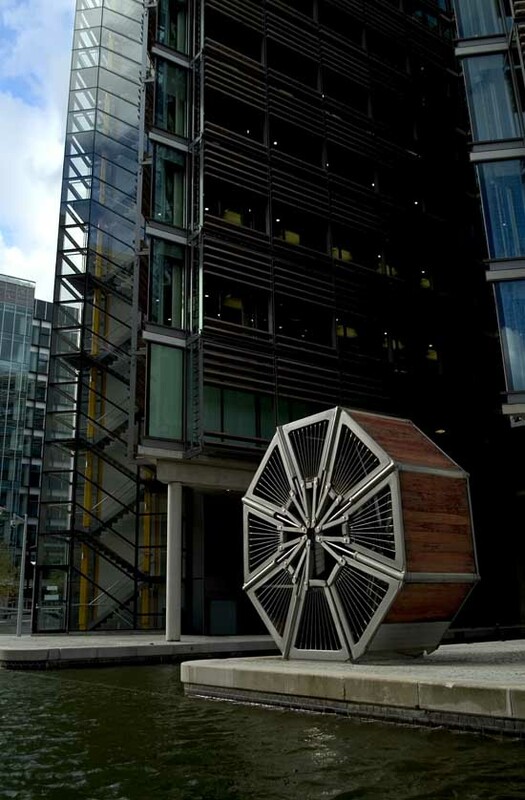 In a related competition, developed in collaboration with Thames Festival Trust, pupils’ ideas were selected from four London secondary schools in the Boroughs of Ealing, Enfield, Sutton and Westminster, and the London Design and Engineering UTC in Newham, responding to a similar brief to that given to the shortlisted teams. 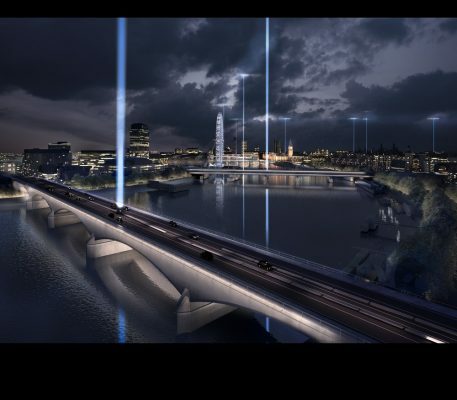 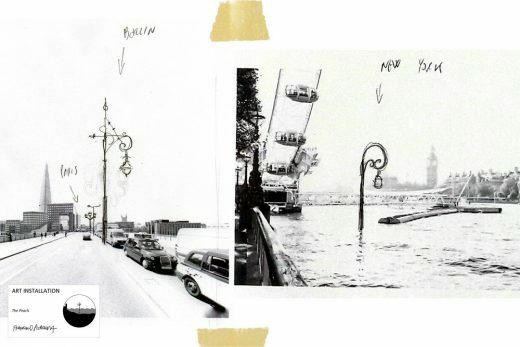 These will also be shown in the Illuminated River Exhibition. 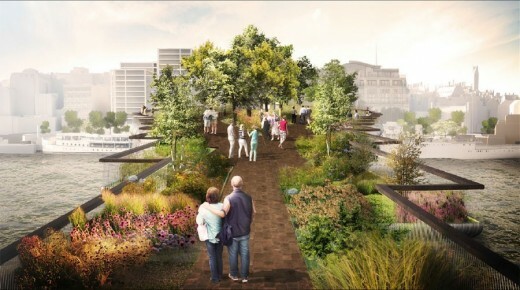 Seed funding of £100,000 was granted for The Illuminated River from the Olympic Reserve, to support the process for the design competition, alongside funding of £250,000 from the Rothschild Foundation, and a contribution of £500,000 from the City of London Corporation (via the Bridge House Estates) towards the delivery of the first phase. 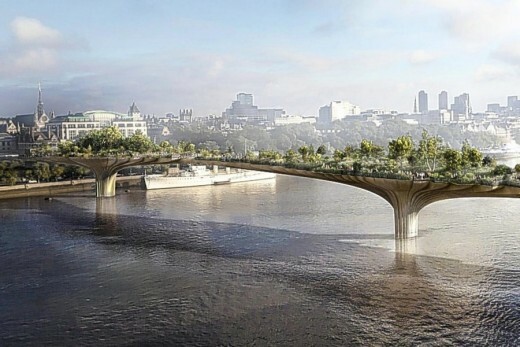 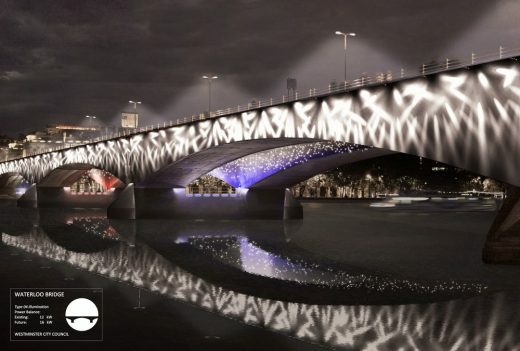 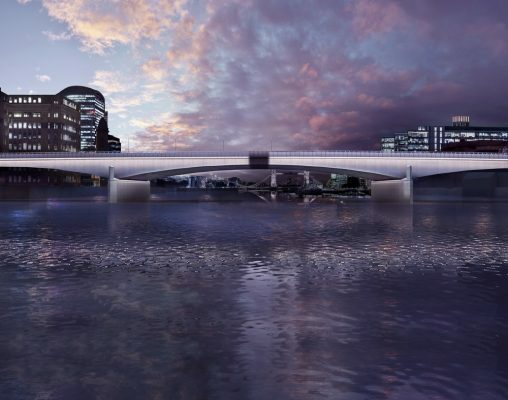 The Illuminated River Foundation will seek the balance of the costs of the project from private and philanthropic sources rather than the public purse. The Illuminated River international design competition selected 6 teams from 105 entries based on past experience, 47% from overseas.